Serves: 2 Cook Time: 10 min. Spread each flatbread with ¼ cup hummus, leaving a ½-inch border around the edge. 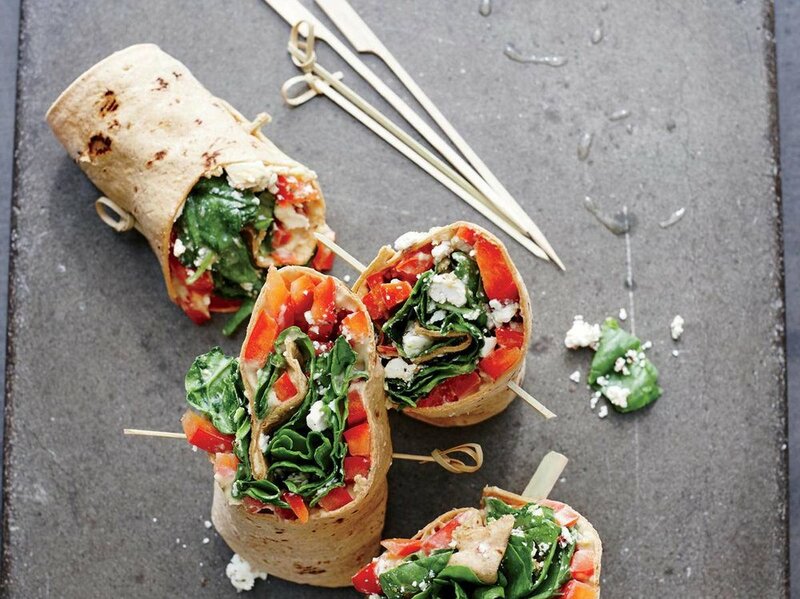 Divide the bell pepper evenly between the flatbreads; top each with ½ cup spinach and 2 tablespoons cheese. Starting from one short side, roll up the wraps. Cut each wrap in half, and secure with wooden picks.